In this session, we will discuss how the course templates at CeL help you enhance self-directed learning (SDL) skills for your students. We will look at how our actual course designs meet quality assurance and support SDL skills. 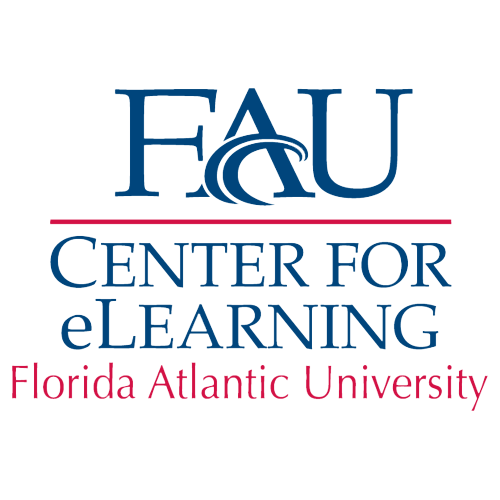 As always, these sessions are open to all FAU faculty, staff, and our eLearning Community of Practice partners. Please share the information below! A quiet area, headset, and microphone are recommended for optimal virtual participation. The CeL team will help with technical questions. Or join us at any CeL location. If you have a laptop and/or headset, please bring them. If not, we will do our best to provide them for you.